Fun Science Cheshire offers free science assemblies to primary, infant or junior schools located in Chester, Northwich, South Liverpool, Runcorn and nearby. Schools can chose from ‘Electricity’, ‘Chemical Reactions’ or a combination assembly. Read on to find out why we are offering our services for free. The assembly is free for all primary, junior or infant schools located near to one of our branches. All we ask is that you consider hosting the Fun Science after school programme afterwards. If you decide it is not for you or your pupils then the assembly remains completely 100% free. If you are unsure if you fit into our radius just ask. The assembly itself lasts for 15 minutes. To find out if we cover your area, type your postcode into the box below. If you need any more information or would like to talk to anyone about the free assemblies either email cheshire@fun-science.org.uk or call 07736 231794. 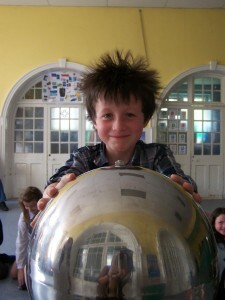 You can also read a great review of a fun science assembly by clicking here. Brilliant! If you would like to book an assembly please email cheshire@fun-science.org.uk or call 07736 231794. If you are located elsewhere in the UK then please click here to find your nearest branch. You can then either call or email that branch directly.